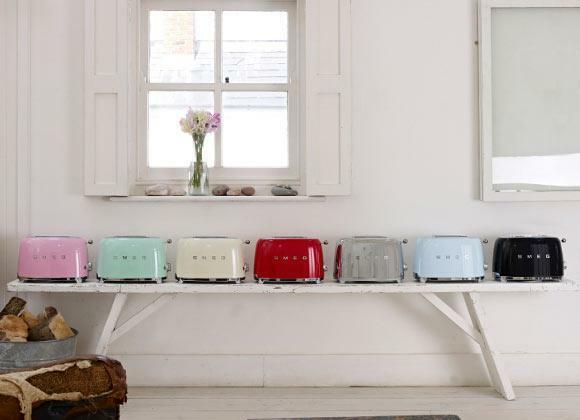 Italian manufacture Smeg brings the 50s back in style with the Smeg 50s Style range of small domestic appliances. 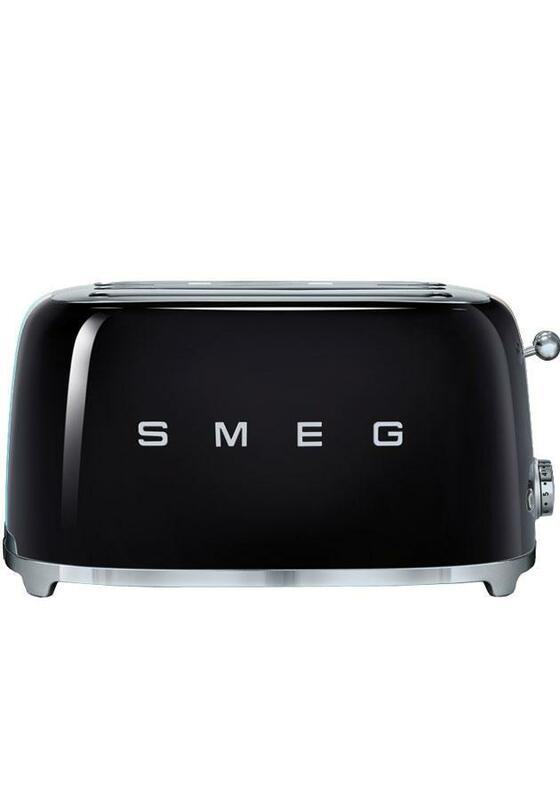 The Smeg TSF02BLUK is a stylish 4 slice toaster. Whether your breakfast appetite is toasted bread, bagels waffles or tea cakes , the Smeg TSF02PBUK can provide you the helping hand you need. 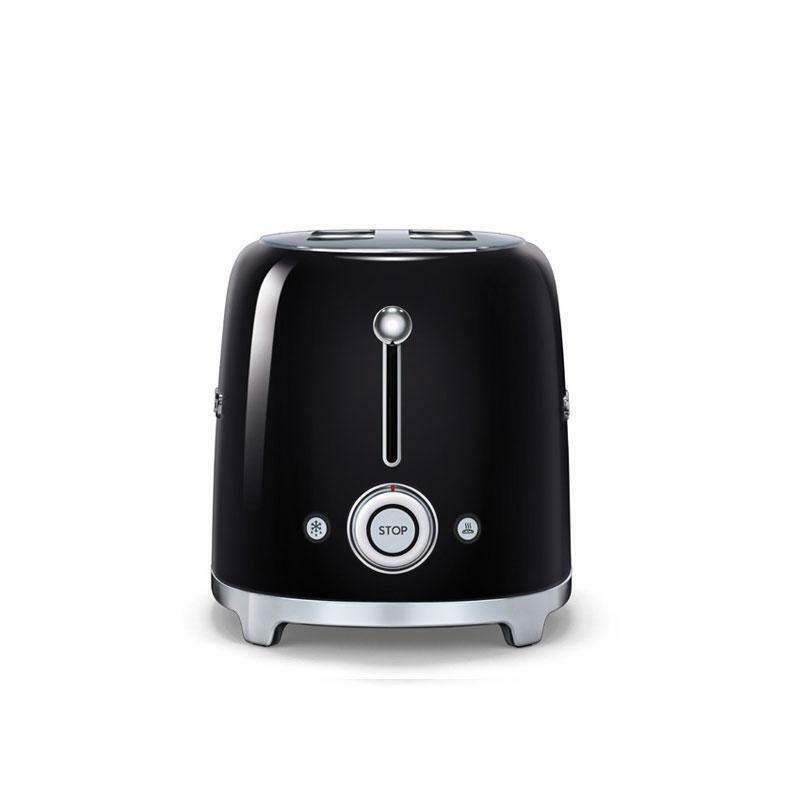 Functionality wise there are four easy settings to ensure your toasting is handled as required; defrost, reheat, toast or simple cancel toasting when the desired level is reached. Toasting is further controlled with six toasting levels to ensure those waffles are golden ready for your choice of toppings. 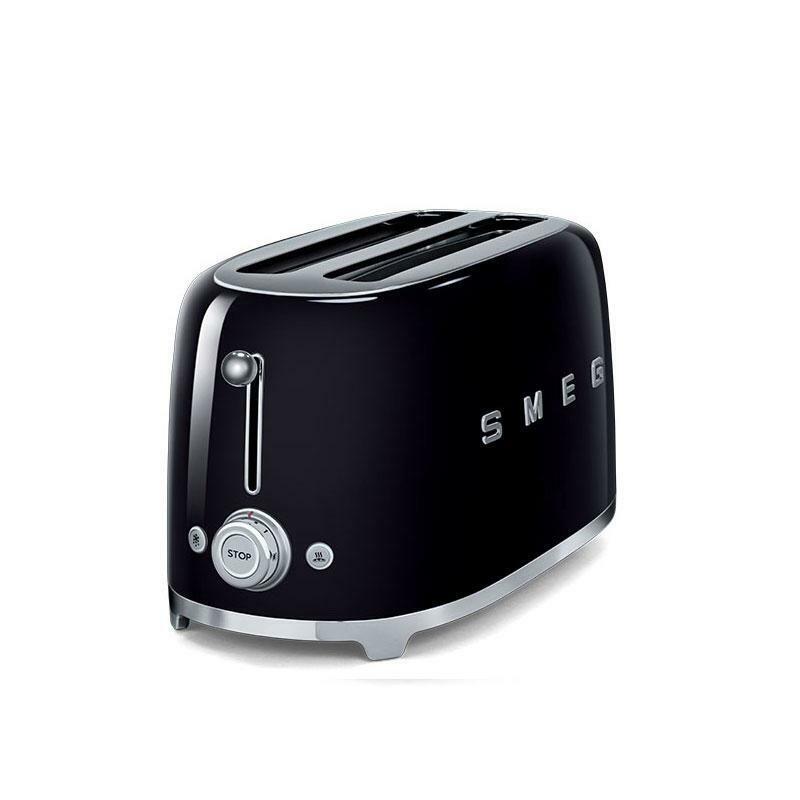 For larger families or big appetites, the SmegTSF02PBUK is a four slice toaster ensuring everyone can enjoy their toasted baked goods. 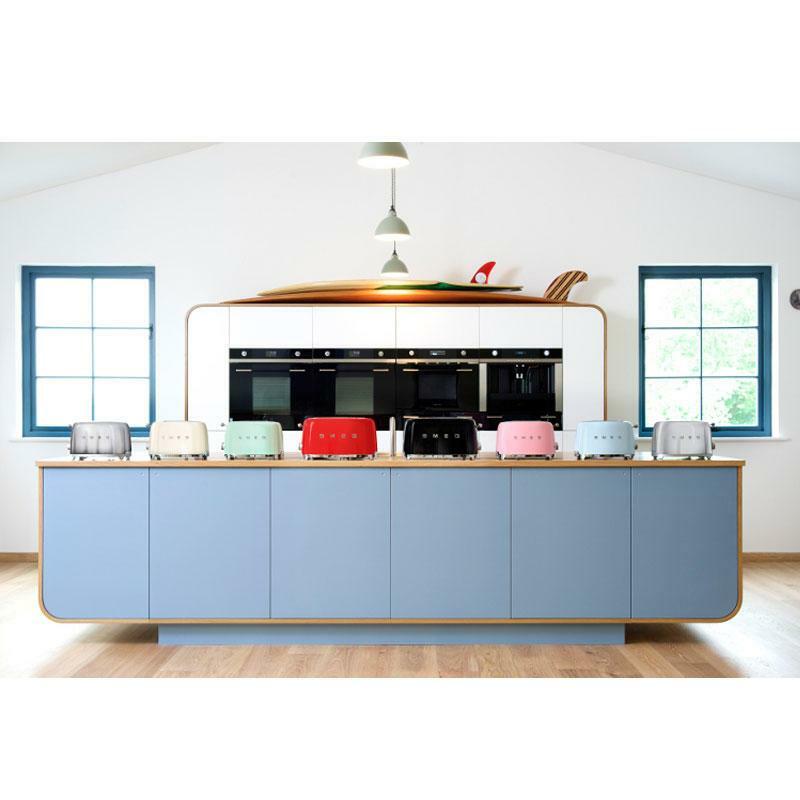 Retro style done right - thats the Smeg 50 wrapped up in four words. Stunning stainless steel construction with a refreshing 1950s style that brightens yet fits into any kitchen place. The 50 Style range extends to kettles, food mixers, blenders and refrigerators. 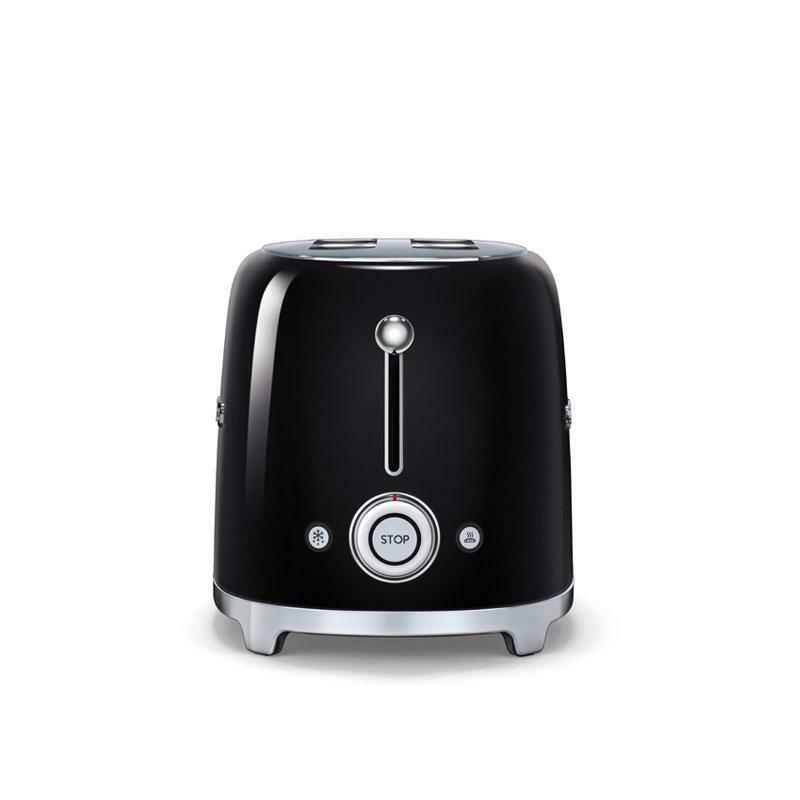 Design choice has not traded off in performance and quality, the Smeg 50 range with the Smeg TSF02BLUK Toaster features the latest technology with the heart and soul of Italian design. 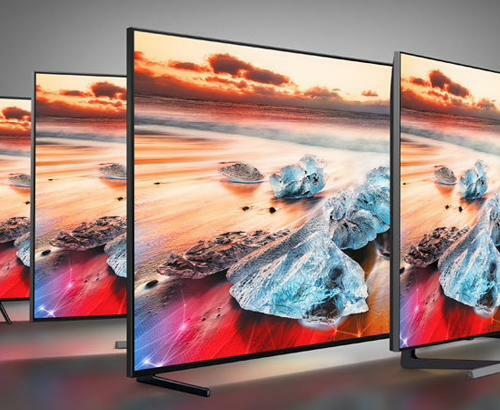 As a premium retailer for Smeg we can offer you the best advice, selection and after care service than national retailers. A full demonstration of the all the small domestic appliances from Smeg is available in our Rawtenstall store in Lancashire. 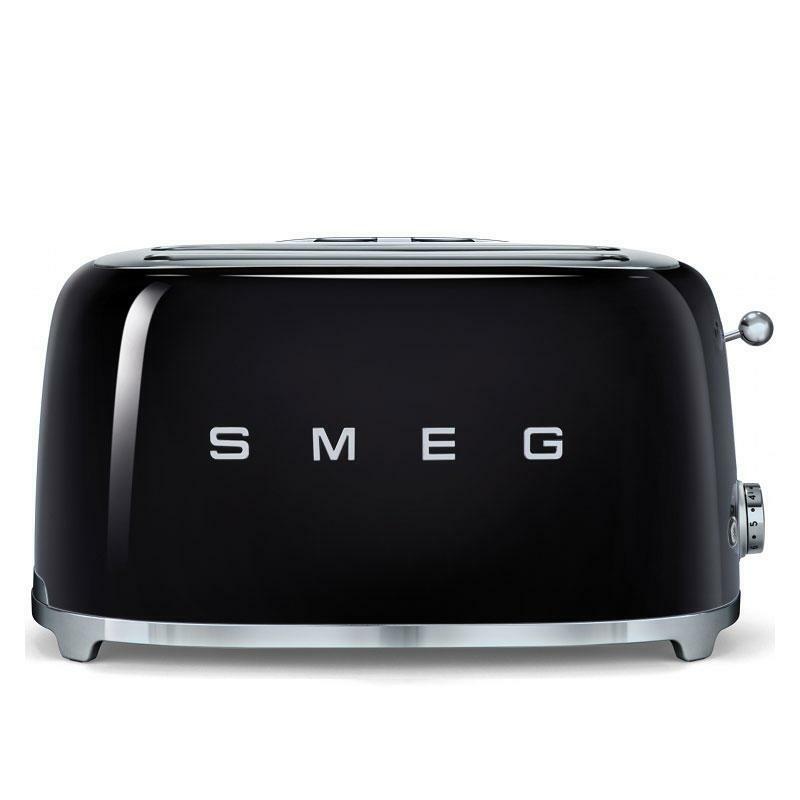 The Smeg TSF02BLUK has optional accessories such as the Bun Warmer (TSBW02) or if you are a toasties lover a sandwich rack (TSSR02).